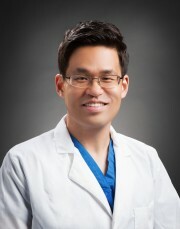 Dr. Yoo grew up in southern California and completed his undergraduate studies at University of California Irvine and California State University Long Beach. He then moved to Utah to earn his doctorate in dental medicine (DMD) at Roseman University of Health Sciences. Following dental school, Dr. Yoo completed post-graduate residency training at Montefiore Medical Center in Bronx, New York. He is an active member of the ADA, an ambassador of the Leadership Development Institute for Give Kids A Smile. When he is not taking care of his patients, he enjoys reading books, trying new recipes, learning Brazilian Jiu-Jitsu and last but not least, rooting for the Los Angeles Dodgers.